“I saw the angel in the marble and carved until I set him free”. As rightly said by Michelangelo –“Every block of stone has a soul inside it and it is the task of the sculptor to discover it”. Marble statues are a source of inspiration to some while style quotient for the others. These depict great warriors like Alexander, Caesar or the great Gods themselves. These have been in place for over thousands of years since the Ancient Roman civilization and have white Marble from Italy in common. Italian white marble originates from the city of Carrara in the province of Massa and Carrara in the Lunigiana, the northernmost tip of modern-day Tuscany, Italy. The white marble produced here is in high demand for use in sculpture and building décor. It is considered as one of the most luxurious and expensive white marble in the world. It is quite rare and expensive because of the constant demand from the sculptors to not use this as building material. The other variants of Carrara marble are Statuario marble and Calacatta marble. Statuario marble comes in pure white color with veins running across it. Mostly used in luxury hotels and luxury houses its price range starts from Rs 700 to Rs 5000 per sq. feet. Mostly they find place in your bath rooms or kitchens. The Statuario marble countertops will give your kitchen a regal look at the same time Statuario marble staircase will make your home look palatial. With the right architectural techniques you could use the Statuario marble slabs to fit in washrooms or your kitchen area, this will make exquisite look to your dream home. Statuario marble is in high demand all over the world because of the limited availability and the transportation delays. It is in high demand from the world class projects who want to make their presence felt world over. Because of these reasons clubbed with the high cost it is difficult to find the right Statuario marble as per your requirement. But there is some good news as these products can be found online at the websites of many world class Statuario marble dealers. These websites provide you with the product catalogue along with the prices. 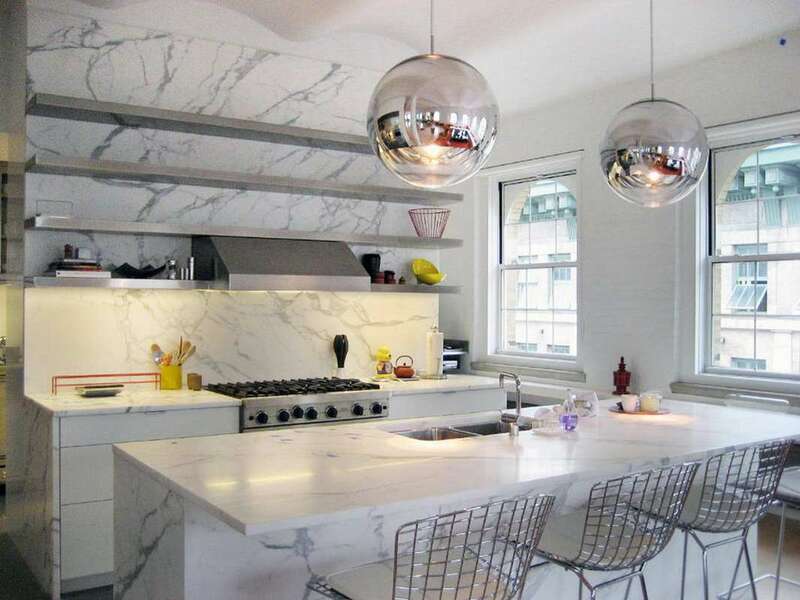 One can provide his detailed requirement as a query by filling the query form available on the website and can then get the best deal on Statuario marble. Most of these dealers are themselves exporters and owners of Statuario marble quarries outside India. Therefore by directly contacting them one can guaranty quality marble products delivered in time. 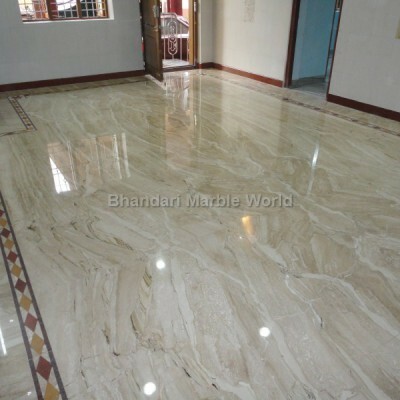 You can find some of the best Statuario marble at competitive rates at Bhandari Marble World. Please feel free to drop any query about this post or provide comments if any. The author has interest in Marble Industry in India. Located in the dry and arid central region of Rajasthan, surrounded by the oldest Araveli mountain range of the world -Makrana is a city whose eternal bond with history is an enigma. Beyond the dusty lanes and ordinary markets there is an extraordinary tale that makes Makrana the true center of global significance. One needs to have deeper insights of history to find out the exciting story this vivacious city has to offer. It is the story of pious and pure natural stones that are hidden beneath the city bed, which truly are a source of envy against even the best natural stones in the world. It is story of the Great Taj Mahal and the association of Makrana with it. Yes I’m talking of the White Marble of Makrana which is omnipresent and can be found in world famous temples, mosques, churches and any historically important monument. Makrana is famous for the vast deposits of white marble which is available in plethora of shades and colors. Such is the variety of colors that even the most prolific painter would find these colors missing in his palate. The association of Makrana marble with the great Taj Mahal is hundreds of years old. Thetranslucent white marble used in Taj Mahal has all come from the city of Makrana. It is believed that 1800 artisans who hails from Makrana (coastal strip in the south of Sindh and Balochistan, in Pakistan and Iran) who came to India to build Taj Mahal were settled in this town, hence it is known as Makrana). Apart from this Victoria Memorial of Kolkata, Birla Temple of Jaipur, Jain Temple of Dilwara, National Assembly of Pakistan and Sheikh Zayed Mosque (Abu Dhabi) also feature the Makrana white marble. Such is the piousness and purity of Makrana white marble that it has become the number one choice for places of religious significance all over the world. Makrana has various mining ranges, popularly known as Doongri, devi, Ulodi, Saabwali, Gulabi, Kumari, Neharkhan, Matabhar, Matabhar kumari, Chuck doongri, Chosira and Pahar kua etc. Pahar kua range is allegedly the actual mines from where marble for TAJ MAHAL was extracted. Doongri, devi, Saabwali, Ulodi, Chosira and Neharkhan are famous for white marble, whereas Ulodi is famous for Albeto Marble. These mines produce white-brown belt beautiful marble. Gulabi stands for pink plain and pink Adanga marble whereas almost all mines produce Adanga marbles with brown and grey shades. Makrana marble is known for its brilliant glow and finish. It is polish able and looks great after polish. It is highly durable with the stone luster maintained even after 50 years. It is easy to clean and does not foster the growth of germs on its surface. Calcitic in nature; Makrana Marble is regarded as the oldest in age and finest in quality. It is available in form of Makrana marble tiles, Makrana marble floors, Makrana marble slabs. Marble images of various gods are also popular. The use of automatic mechanized plants has led to the demand of machine made god idols. Available in various colors and patterns it caters to the need of all. 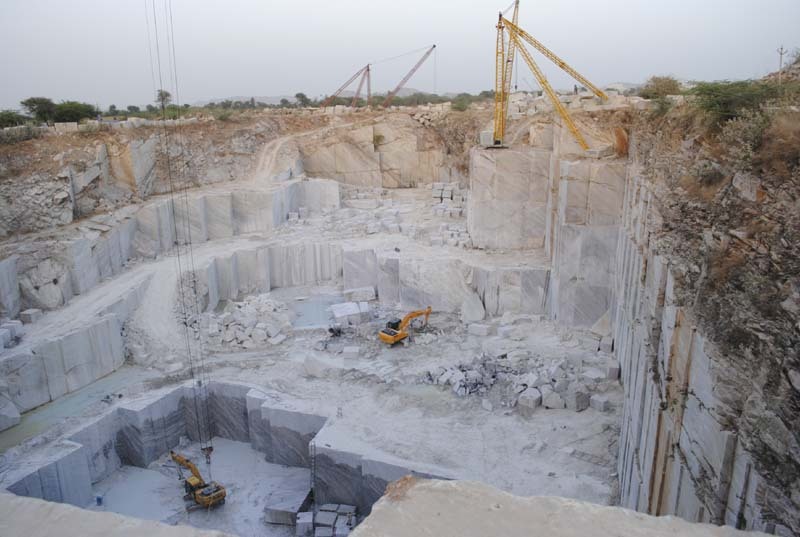 Makrana marble mining provides employment to roughly 1 lakh people. Most of the mining labor is from the main city and the 200 neighboring villages. Most of the mines use gang saw machines. The present rate of marble production from Makrana is 19.20 million tonnes per year with annual revenue of 10 billion $. There are a range of Makrana marble dealers and exporters in Makrana. The product extracted is transported to the nearby trading city of Kishangarh from where it is transported throughout India and the world. 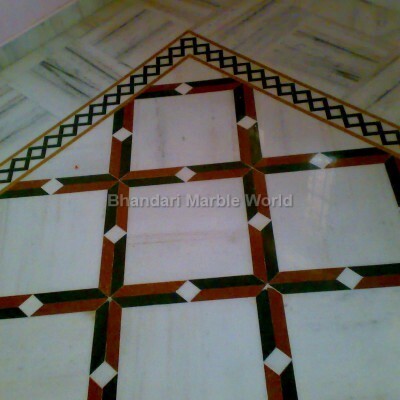 Makrana marble is one of the Indian marble and is at par with the Italian marble. It is also considered for use in place of Italian marble tiles, Italian marble flooring. Makrana marble is a true tribute to the beauty of the Taj and thus it has become immortal. Some of the best Makrana marble dealers are located at Kishangarh. They have large range of products and are available online 24*7 to help you choose the best range of white marble. You can choose the best product well under your budget. The coolest thing is that you can do it right from your home by visiting their websites. 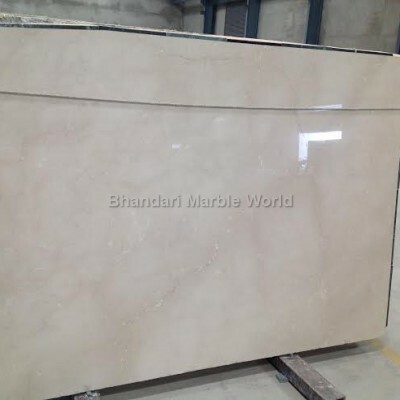 One such Makrana marble dealer is Bhandari Marble World. Please visit the site and place your queries. In the land of colorful and royal Rajasthan the story of this city is quiet an exception. Just like a selfless mother who gives her all to her children this city is busy silently contributing to various magnificent architecture all over the world. This is Makrana – city of enigma and futuristic growth. Come be a part of the history associated with the white marble and take away memories of love and selfless sacrifice. The author has interest in the marble industry of Rajasthan. Please provide your comments or queries for this post. We are one of the best and oldest providers of Italian Marble. Italian Marble is used for ornamental purpose in several places like home, office, luxury hotels etc. These Italian Marbles are fabricated using optimum quality materials based on latest technology which meets the quality standards. The price is very reasonable and we offer wide range of colors. Price starts from Rs. 320per sq.ft to Rs. 1200 per sqft. For more products visit our website http://www.bestitalianmarble.com/italian-marble, or you can send your queries at info@bestitalianmarble.com. We all are aware of the tremendous popularity Italian marble enjoys in our life. Talk of any world class building, corporate office, mega trade centers, public monuments and offices you would find Italian marble all over the place. Italian marble has become part and parcel of modern world. Which color would be good for kitchen & bedroom? Witch stone is good for parking area? Some one likes Statuario marble while others want cost effective products. Somebody would go for quality while the others for style and luster. Consider an example of a traditional family where one can find different opinions – the son needs something extra ordinary which is both stylish and a masterpiece at the same time whereas the father would need products to be in budget. Then there would be housewives who want some unique design. Do not forget the uber cool daughters who want pink counter top. Therefore selecting the best Italian Marble for your dream home or project can be really gruesome experience.Don’t get discouraged by the story so far as the solution to all problems is available in this post. You are lucky to be reading this post as it discusses about the best Italian marble, Italian Marble dealer, Italian marble price, Statuario marble dealer and Onyx marble dealer. The one stop solution for all your marble requirements ends at Kishangarh Marble. You might be guessing why Kishangarh Marble; you need to look at the following data.  International standard Marble cluster has been developed at Kishangarh to expedite the growth of Marble Industry in Rajasthan.  Development of high rake frequency rail network and container depot. at Kishangarh has led to pan India Marble stone supply a reality.  Kishangarh is Asia’s largest Marble market with annual transaction to the tune of 242 million dollar. All the products from the heart of Marble city of Rajasthan – Kishangarh are available here for trading. Be it Italian Marble, Statuario Marble and Onyx marble all the products can be found here. Kishangarh has strong industry academia with focus on International curriculum and research. The companies here have their own team of intellectuals that closely monitor all the major news of the marble world. They have strategic partnership with international Italian marble dealer and manufacturers in Carrera (Italy) for quality marble and granite. The fully equipped manufacturing units having state of the art machineries guaranties quality products with unique style and design. In short it is the place where creativity meets productivity. Italian Marble price In India start from Rs. 150 per Square Feet and goes up to Rs. 2000 per Square Feet depending on the selection and quality. The products can be categorized into Italian marble floorings, Italian marble inlays, Italian marble tiles and Italian marbles slabs. All the products are available on the websites of various exporters and dealers under different product categories. Spare some time and glance through their product galleries which has been designed especially for online audiences like you who need top quality Italian marble. Kishangarh is well connected with Indian metro cities such as Delhi and Mumbai via the Golden quadrilateral transport corridor. It has its own airport currently under construction.Major world class companies have their centralized office at Kishangarh in Rajasthan where you will find 24*7 online response. Once you provide your queries through online form or by contacting them directly, the experienced logistics team make sure your product reaches to you in time. There is collaboration with all international cargo players and transport players for a rich delivery experience. According to a study conducted by KPMG the development of Heavy cargo type, quick and safe delivery requirement through Container – Rail based mode of transportation has been major cause of growth of the marble industry at Kishangarh. Thanks to the technology that we today have virtual online studios in the form of retailer’s websites where one can look for all the permutations and combinations and do not need to visit a store.It is always a win win situation for you if you can get your marble products directly delivered at your location. The story of one such retailer is worth mentioning.Having historical presence in the marble city of Rajasthan with their traditional house in Kisangarh and Makrana it is the Bhandari Marble Company who have the marble business passed on from one generation to other nurturing the rich experience of marble trading and exporting. Currently the fourth generation is active as Kishangarh marble dealer and Makrana marble dealer. Please visit for a whole new experience of Italian marble. I am sure you will not be disappointed. I hope I’ve addressed most of your queries and concerns about Italian marble and Kishangarh marble. Till next time keep rocking and enjoy reading this blog. The author has interest in Italian marble and been researching about Italian marble industry in the Kishangarh. 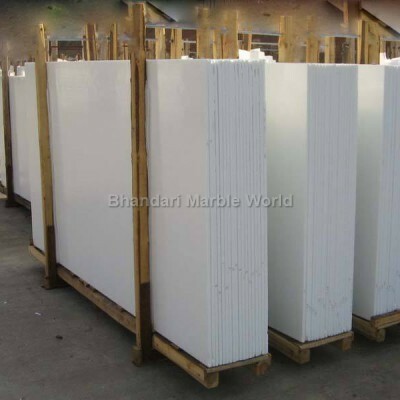 Bhandari Marble Company was founded in 1969 by Shri Roopchand Ji. It is the sheer perseverance and our hard work which made us the leader in Marble Industry. Our experience in marble industry extends to 45 years. From a humble beginning in the town of Kishangarh today we are the pioneers of Marble Industry . We are manufacturer, exporters and suppliers of marble in India. We export marbles mainly In India, U.K, Canada, U.S and Australia and some other countries of the world. We are export based company with stringent quality control to match the global competition.We provide products as per the country requirement 0% rejection rate. We deal in all marbles like Italian Marble, White Marble, Sandstone, Kishangarh Marble, Kota Stone, Granite Marble, Onyx Marble, Makrana Marble. 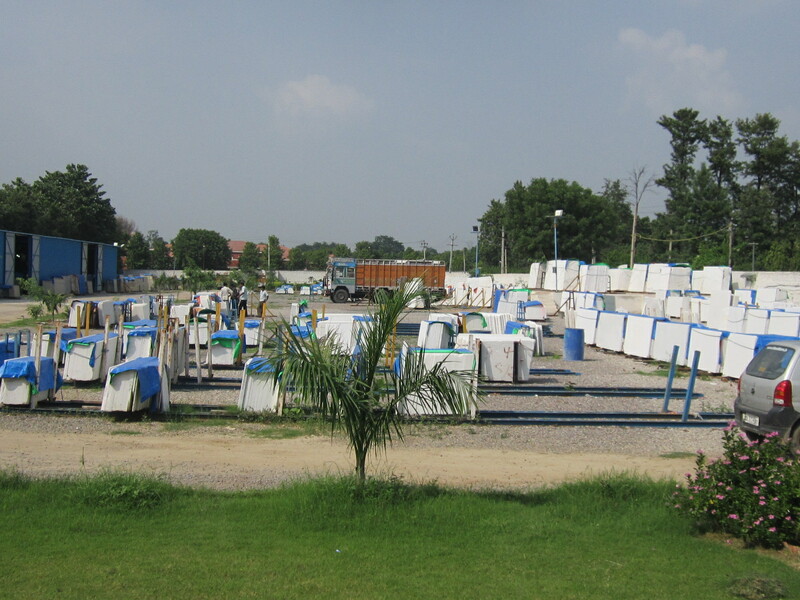 Kishangarh City is Famous for Marble trading all over India .It can be rightly called as Asia’s Biggest Marble Market. Over 9000 Marble sellers as well as Italian Marble Supplier, Granite seller and Manufacture, Kota Stone seller, Marble Supplier, Sand stone Seller and Manufacture, Lime stone seller, Marble Mines owner are concentrated here within 10 km radius space. The world famous Italian Marble can be found at Kishangarh. Kishangarh is a city and a municipality in Ajmer district within the Indian state of Rajasthan. It lies eighteen miles north-west of Ajmer. It’s well connected via Indian Railways and National route #8. It is Only 108 kilometer from Jaipur Airport. Recently keeping in view the commercial success of the Marble city the Govt. of India has announced an airport at Kishangarh . Kishangarh is also strategically located on the Delhi – Mumbai golden quadrilateral with a strong network of highways and modes of transport. The close proximity to the capital city of Rajasthan – Jaipur has also increased the demand of marble four folds. The majority of marble is exported to metro cities where there is large demand from the Real estate sector. It’s the birth place of the Kishangarh kinds of painting, which is known for the beautiful depiction of a courtesan known as Bani Thani. Kishangarh has come to be known as the marble city of India. It’s purported to be the only place in the world with a temple of 9 planets. Kishangarh economy mainly depends on the marble production and commerce. Kishangarh has over around 25000 go downs , 1000 gang saws and 5000 edge cutting machines and over 25000 marble traders and it offers employment to around 1 lac peoples. Kishangarh even have marketplace for powerloom and boil mills sector. Kishangarh Marble Mandi :- Italian Marble, Statuario Marble , Onyx Marble , Morwad marble, Sawar Marble, Granite, Sandstone, Limestone, Kota Stone.